While the Internet was exploding this weekend with Beyonce's new album, it was easy to miss the equally-exciting news that the first trailer for Christopher Nolan's new movie, Interstellar , was released on Saturday. The film, set to be released late next year, has been kept tightly under wraps ever since its production began, and so the trailer, albeit a teaser, is the first real glimpse we've had of what's sure to be one of the most talked-about movies of 2014. 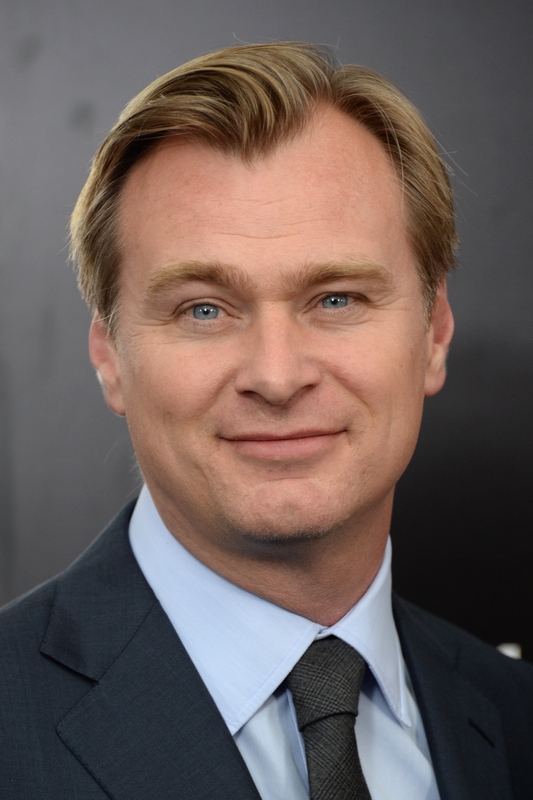 Over the past decade and a half, Nolan has directed nine films (including Interstellar), and not a single one has been anything less than incredible. From Memento to The Dark Knight to Inception, the director has proved himself to be one of the most exciting, innovative filmmakers working today. Even his "worst" movies, like The Dark Knight Rises, is still ten times better than anything else in theaters. Nolan simply makes good movies, and there's no doubt in our minds that Interstellar will follow suit. Because just making good movies isn't enough, Nolan has also earned the title of Hollywood's Biggest Money-Making Guarantee. His movies are consistently blockbusters, with two of them making over a billion dollars each and a few others not so far behind. The only real low-grossing Nolan film is his debut, Following, which earned just $240,495 — but on a budget of $6,000, that's still pretty good. In an age when the majority of high-budget, high-grossing movies are lacking in quality (see: Man of Steel, Spider-Man 3), it's refreshing to know that Nolan is the rare director whose films are not only blockbusters, but also well-made. You know how every movie trailer you see now gives away the entire plot in the first 30 seconds, and it's the most annoying thing ever? That's not the case with Nolan's movies. Like J.J. Abrams or Woody Allen (sometimes), Nolan is a director who likes to keep the plots of his films under wraps as long as possible, only allowing the unavoidable details — the members of his casts, the vague, two-sentence synopsis needed for press releases — leak to the public. As frustrating as it is not knowing what to expect from his movies, it's way better than finding out every little detail months in advance, as seems to be the trend for most films released each year. It's also a great marketing strategy; the few pieces of information we get from Nolan's trailers peak our curiosity, so there's no doubt we'll be heading to the theater to learn what the movie's really about. The A-list casts for The Dark Knight, Inception and the rest of Nolan's movies may have been pretty good, but it seems they were all just previews to the all-star ensemble Nolan somehow wrangled for Interstellar. The film stars Matthew McConaughey and Anne Hathaway, with Matt Damon, Casey Affleck, Jessica Chastain, Michael Caine, Bill Irwin, Ellen Burstyn, Topher Grace, John Lithgow, and Wes Bentley in supporting roles. It's like Valentine's Day, except that the cast actually cares and the movie (probably) isn't horrible! And finally, the most important reason we're trusting Nolan: he managed to make a gaunt Matthew McConaughey actually look good. When Interstellar began filming back in August, it was several months after McConaughey had started gaining back all the weight he lost from playing an AIDS patient in Dallas Buyers Club, but even still, the changes were noticeable. In the Interstellar trailer, McConaughey looks healthier than he did in Dallas, but still a long way from his usual muscle-y physique. Still, the actor looks good, possibly even the best he has in years. While that may have more to do with McConaughey's exercise regime than Nolan's filming, we're giving the director the credit — if only because we're convinced Nolan is responsible for everything good about movies.